** Falcon is a fairly mature 14yo, which is the recommended minimum age for this series. When looking for articles and reviews on The Hunger Games from a Christian perspective there are a multitude that will say it is not productive, beneficial or the right type of material for Christians to watch. (I have to wonder how many of the nay-sayers have actually read the trilogy though) I guess that all depends upon one’s worldview. We aren’t training our children to be ignorant of the world around them although we desire for them to be innocent of the same practices. (Click here to read a previous post on Training Children in Innocence or Ignorance) Literature is an excellent medium for teaching all kinds of themes and concepts that are simply icky and difficult for young adults to comprehend in the real world. The following links are not biased with a negative bent toward the books. Just FYI. I’m not going to write a full review and offer details. The links I provide do a great job of that. If you want to know more, grab yourself a copy of the books and read them for yourself. It’s probably quicker and more beneficial that you do so anyway. For you. They’re not a difficult read. I’d rate them about a Grade 7 level in literary quality. 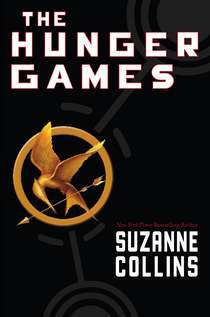 Tim Challies writes on What Makes The Hunger Games So Popular? I knew it was only a matter of time… but yes, there is now a Hunger Games Bible Study. Oh man, say it ain’t so. Read more about it at the Christian Post. I, in no way, endorse or encourage you to flippantly read the books without careful consideration. I do not agree with the information contained in all these links. These links are for your information. are on this. Seeing the movie made me want to read all the books. Even though I try to have an open mind and discover things for myself I was very sceptical of this trilogy. My 17 year old has seen the movie and I have now read the first book. Well, I have done a complete about turn and agree with everything Susan has written here. We have had some great discussions so far and I love the way good quality fiction can get us to look at things from the viewpoint of the characters involved. I am not saying real life news etc isn’t a good way to learn, but fiction gives us another dimension and one teens will often respond to positively because it is something they have enjoyed reading/watching themselves. I was very impressed by the maturity of some of my daughters thoughts and as soon as I have read the other two will probably give it to my 14 year old. Thank you for all the hard work you have done finding these links Susan. I did enjoy walking each step of the way with you, with this whole HG thread. Seeing your openness and willingness to look at things outside your comfort zone has been really refreshing.